usefulness of Standard Operating Procedures (SOP). This course is an ICAO professional development programme. If you have the following experience and skills, you may apply for this course. Good oral and written command of the language of instruction. The purpose of the Certificate III qualification type is to qualify individuals who apply a broad range of knowledge and skills in varied contexts to undertake skilled work and as a pathway for further learning. 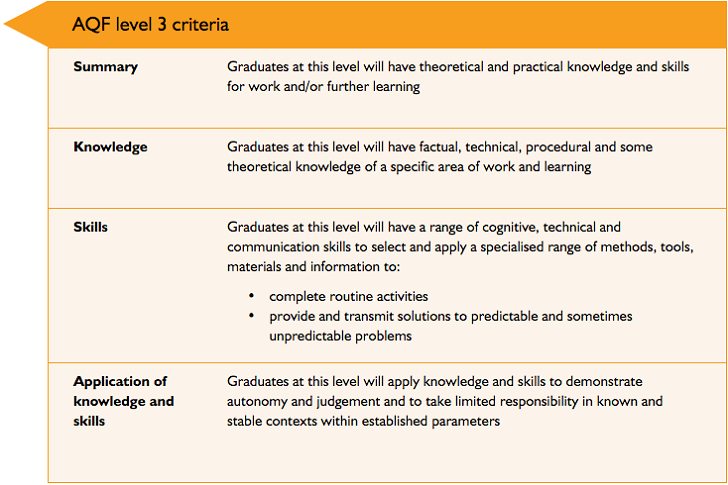 Certificate III qualifications are located at level 3 of the Australian Qualifications Framework. Certificate III qualifications must be designed and accredited to enable graduates to demonstrate the learning outcomes expressed as knowledge, skills and the application of knowledge and skills specified in the level 3 criteria and the Certificate III descriptor. Our Institute is located in the heart of beautiful Brisbane’s CBD. All 2016 workshops are delivered at our training rooms at Level 5, 10 Market Street Brisbane, Australia. It’s important that you understand our policies, your rights and obligations. Please download your student handbook. Ready to apply? Then let’s get started. I consent to ASSET Aviation Institute collecting my details through this form.